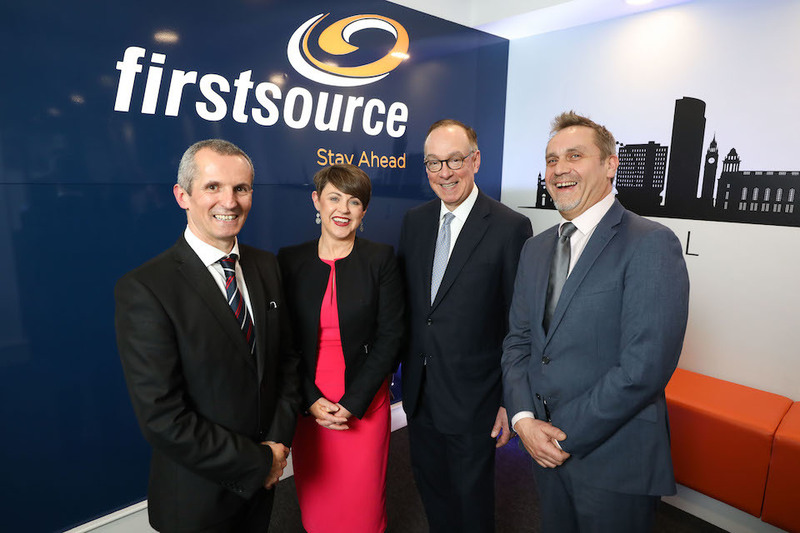 Indian-owned global business process management (BPM) firm, Firstsource Solutions, yesterday (Monday 15 April) announced a further £1m investment into its Northern Irish operations. The company will expand its presence in the region, unveiling a new hub in the city centre, following a £1 million investment and refurbishment of ‘Olive Tree House’, Fountain Street. The new 600-seat call centre will be home to 150 existing staff and has the potential to create up to 450 new local jobs, to service new business wins, expanding on the 1800 people the business employs in Northern Ireland. Olive Tree House will provide customer support for Sky customers in the Republic of Ireland. The business was supported by the Department for International Trade during its investment, providing them with market intelligence, as well as supporting their engagement with local councils and on property site visits. The business’s expansion follows a period of continued growth for the company, and forms part of the business’s wider ambition to win new business in the region and strengthen their existing client base. I’m delighted a global business like Firstsource continues to see the UK as their destination of choice in Europe. Their new investment will help support jobs and drive growth at home and abroad, as their business goes from strength to strength. This investment signals a strong vote of confidence in the Northern Irish economy and my department will continue to work hard to ensure the benefits of global investment are felt in every part of the country, and the UK maintains its position as the top destination for FDI in Europe. The announcement presents another success story for the region, which attracted 28 FDI projects, between 2017-18 creating 1,622 new jobs. Northern Ireland has always been a key part of our business strategy. Belfast was the first UK centre to open outside the company’s Mumbai headquarters in 2006. This significant investment will enable us to support and upskill local talent, offer career progression, win new business and continue to support existing clients with world class customer management. Belfast is a vibrant city and has grown considerably since Firstsource began operating here. The recent City Deal, which will deliver £350 million of government funding to the region will play a key role in harnessing further investment, create employability, upskill and grow the local economy. Undoubtedly this vision of growth is encouraging global companies to continue to invest here. Firstsource is one of the UK’s top 10 contact centre provers and works across the Banking, Financial Services & Insurance, Telecommunications & Media, Utilities and Healthcare sectors. The business is one of Northern Ireland’s largest private employers with close to 2,000 staff operating across Belfast and Derry/ Londonderry. Northern Ireland staff work with major household names including Sky UK & ROI, Now TV, GiffGaff, Royal Bank of Scotland and Ulster Bank.